There is an Italian saying that goes "Roma, non basta una vita" - one lifetime is not enough for Rome. This doesn't apply only to the city but also to its culinary traditions. Sampling every menu item that Rome has to offer would be a happy, but strenuous, undertaking. The myriad of influences that shaped modern-day Roman food is unique compared to what you will find in other Italian cities. With so many amazing menu items on offer, here are seven dishes that you really cannot miss on your next trip to Rome. 1. Maritozzo: pop into almost any coffee bar in Italy and you will be greeted with pre-made breakfast pastries. Called cornetti, these croissant-shaped eats are often unremarkable, so when in Rome dine instead on a maritozzo. 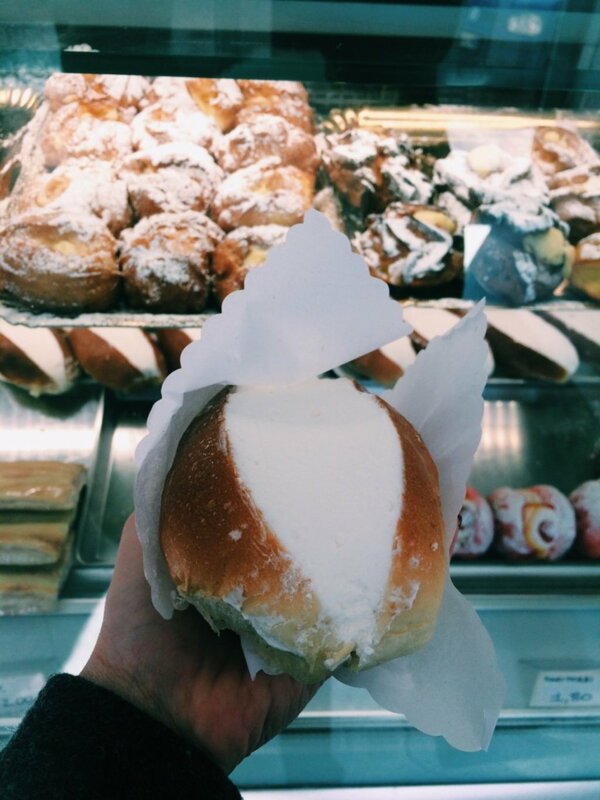 This Roman bun is traditionally an Easter treat, but is served in the Eternal City all year long. Slightly sweet and heaped with whipped cream, the maritozzo will keep you satiated until Rome's late lunch hour finally comes around. Try this classic at a classic Roman bar - Il Maritozzaro (Via Ettore Rolli 50). 2. 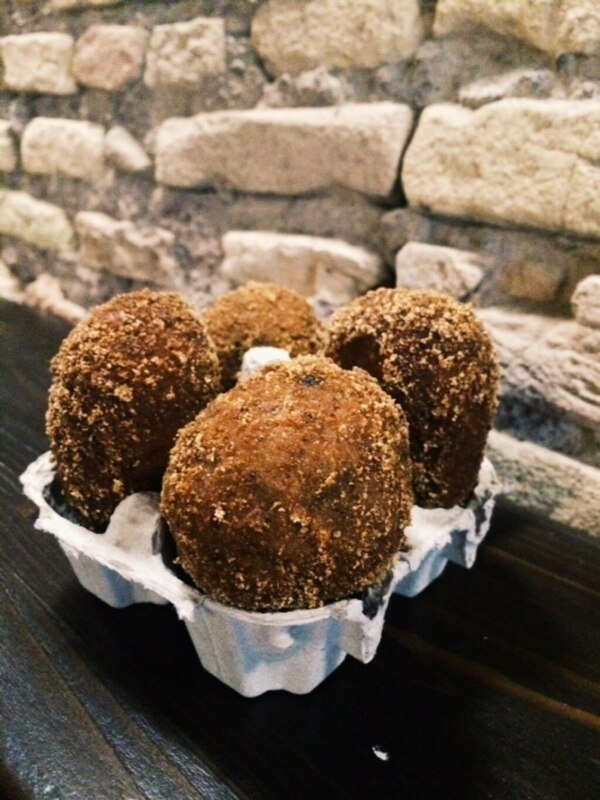 Supplì: It is hard to go wrong with fried goodies, and Rome's supplì are no exception. The rice balls are stuffed with mozzarella and marinara, and are traditionally referred to as supplì al telefono, because as you bite into the gooey center, the cheese pulls apart like an old-fashioned telephone cord. The delicious fritti are usually served as a starter before pizza, but you can find them a la carte and jumbo sized at Supplizio (Via dei Banchi Vecchi 143). 3. Pizza al Taglio: Traditional Roman pizza is thin and crunchy, only having to cook for a few minutes before its crispy crust forms. 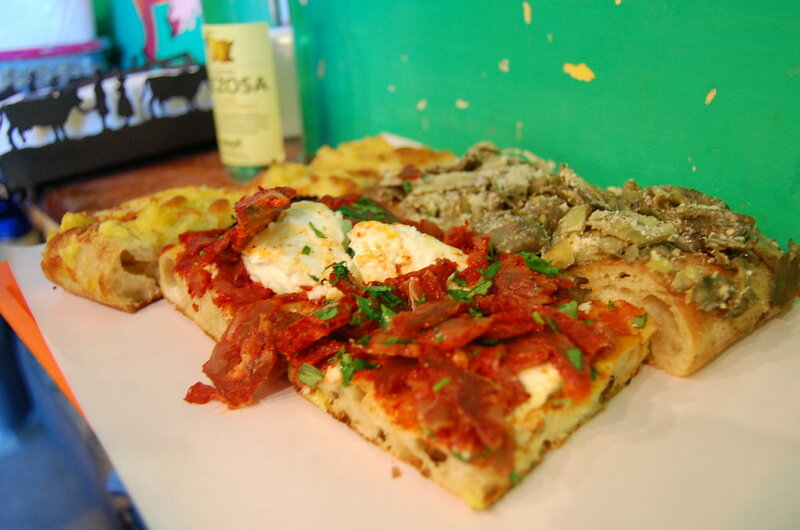 However, focusing only on round pizzas means you risk missing out on the amazing world of pizza al taglio. This thicker pizza has a base similar to focaccia, and is sold by the slice. Tagliare means 'to slice' so you simply indicate how much you want cut and pay based on weight. For creative toppings and out-of-this-world dough, make a pilgrimage to Pizzarium (Via della Meloria, 43). Image by citymama via CC BY-ND 2.0 licence. 4. Vignarola: For a few short weeks in spring, the season of fresh peas and fave beans overlaps with late-winter artichokes. 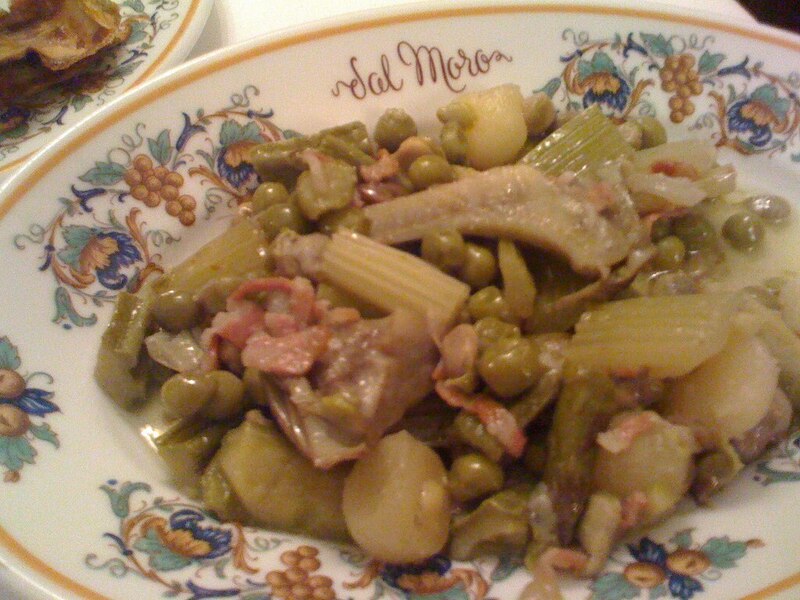 The Romans have found a perfect way to combine the ingredients of bright greenery in vignarola - a springtime stew. It is delicious at Cesare al Casaletto (Via del Casaletto, 45), where you can enjoy it with your choice of pasta while sitting in the sunshine on the leaf-covered terrace. Image by shu via CC BY-SA 2.0 licence. 5. Oxtail: While Rome was long ago the seat of an expansive empire that imported food from all over the world, Rome's 19th- and 20th-Century history was much more humble. From poor paychecks, Romans had to cook creatively to eat well and Rome's modern cuisine is very much based around what many would consider less-desirable ingredients. Think tripe, lungs, heart and, of course, oxtail. 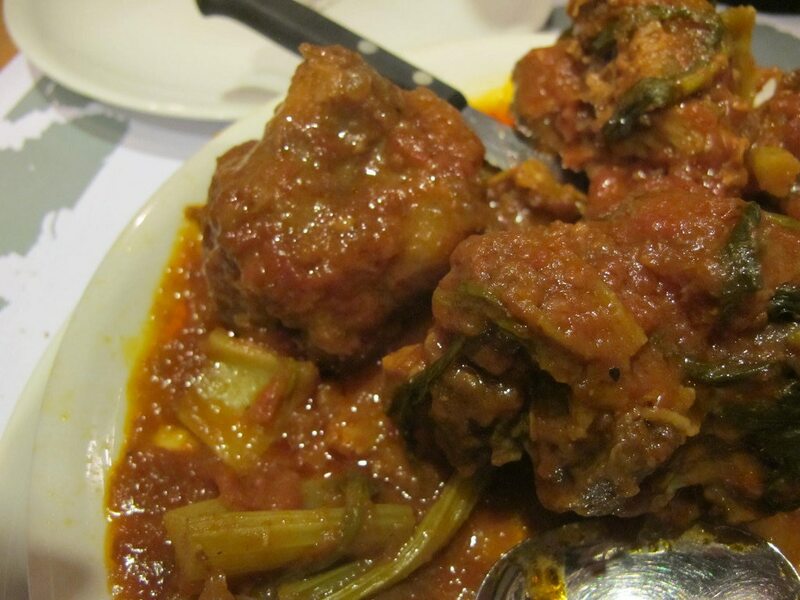 Slow cooked, coda alla vaccinara is stewed oxtail that is simmered for so long that is positively melts in your mouth. Most commonly served as a main course or as a sauce for pasta, Agustarello (Via Giovanni Branca, 100) in Rome's old slaughterhouse district makes some of the best oxtail in the city. Image by Naotake Murayama via CC BY 2.0 licence. 6. 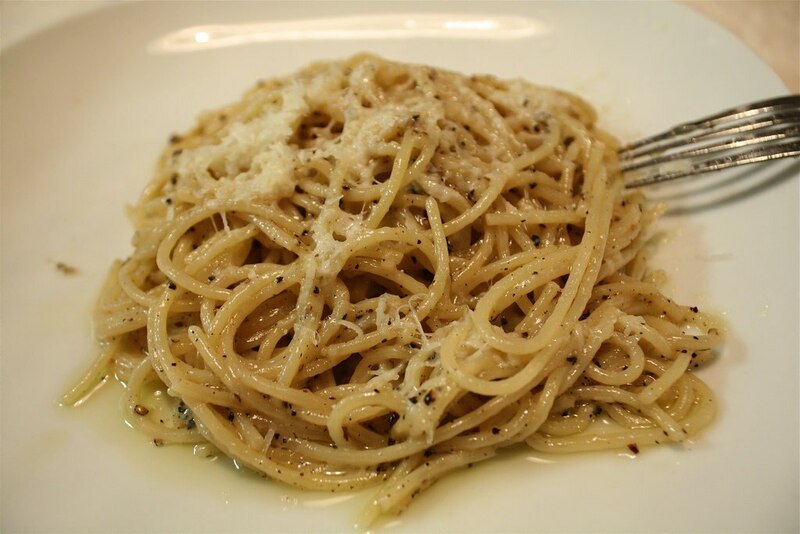 Cacio e pepe: Pecorino cheese and black pepper are simple enough ingredients, but combined with a bit of pasta water, they are transformed into sauce nirvana. The cheese is swirled with hot pasta, until it coats every strand. The black pepper topping is the right amount of spice for this deeply satisfying dish. Want to double down on the cheese? Head to Roma Sparita (Piazza di Santa Cecilia, 24) where the cacio e pepe is served in an edible bowl made of parmigiano. Image by judywitts via CC BY 2.0 licence. 7. 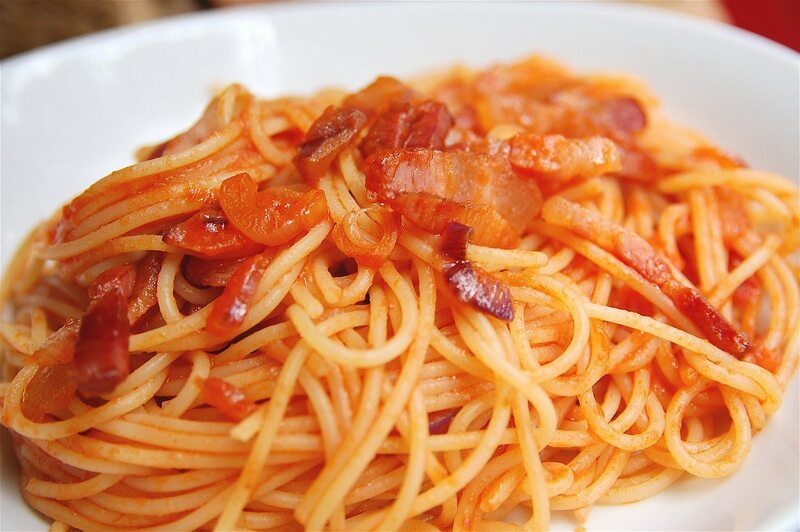 Amatriciana: Tomato, cheese and bacon are combined in this traditional Roman sauce to make the ultimate comfort eating experience. The guanciale, fatty bacon from the jowl, adds a smokiness to the dish that is irresistible. Originating from Amatrice, a small village outside Rome, you can try the best in the city centre at Roscioli (Via dei Giubbonari, 21/22). Be sure to make like a Roman at the end of the meal by sopping up the remaining sauce with a bit of bread. Want to sample these seven dishes? Check out our excellent Rome hotel deals to start planning your trip.